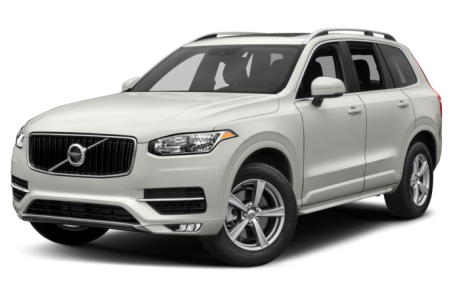 The 2018 Volvo XC90 is the flagship luxury SUV with two 4-cylinder engine options. It seats either five passengers across two rows or seven passengers across three rows. It competes with the Audi Q7 and BMW X5. Five trim levels are available: T5 Momentum, T5 R-Design, T6 Momentum, T6 R-Design, and T6 Inscription.